Canal Zone 1909 2c Black and vermilion. SG48. 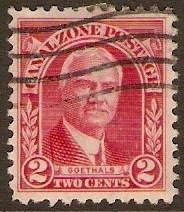 Used 1909 2c Black and vermilion. SG48. 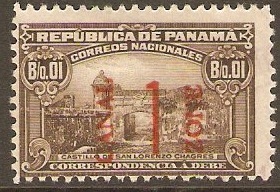 Canal Zone 1915 1c on 1c Brown. SGD62. Fine used 1915 1c on 1c Brown. SGD62. 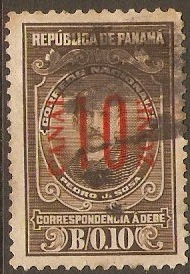 Canal Zone 1915 10c on 10c Brown. SGD64. Used 1915 10c on 10c Brown. SGD64. 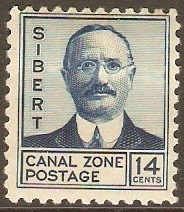 Canal Zone 1921 5c Indigo. SG66. Used 1921 5c Indigo. SG66. 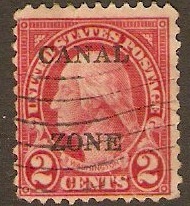 Canal Zone 1925 2c Carmine. SG86. Used 1925 2c Carmine. SG86. Canal Zone 1928 1c Green. SG107. 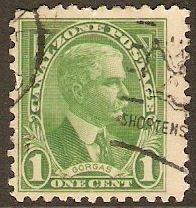 Used 1928 1c Green. SG107. Canal Zone 1928 2c Carmine. SG108. Used 1928 2c Carmine. SG108. 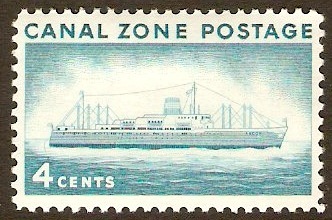 Canal Zone 1928 5c Blue. SG109. 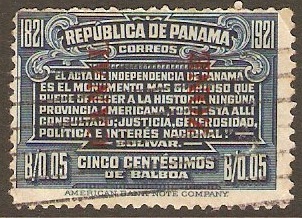 Used 1928 5c Blue. SG109. 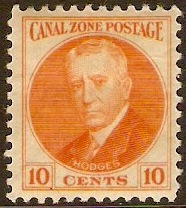 Canal Zone 1928 10c Orange. SG110. 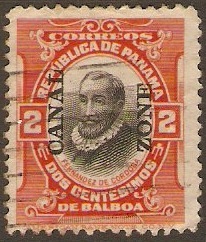 Mounted mint 1928 10c Orange. SG110. 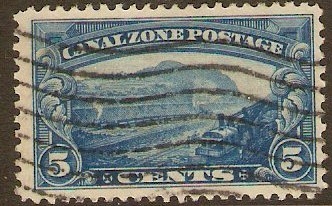 Canal Zone 1928 14c Blue. SG112. Mounted mint 1928 14c Blue. SG112.